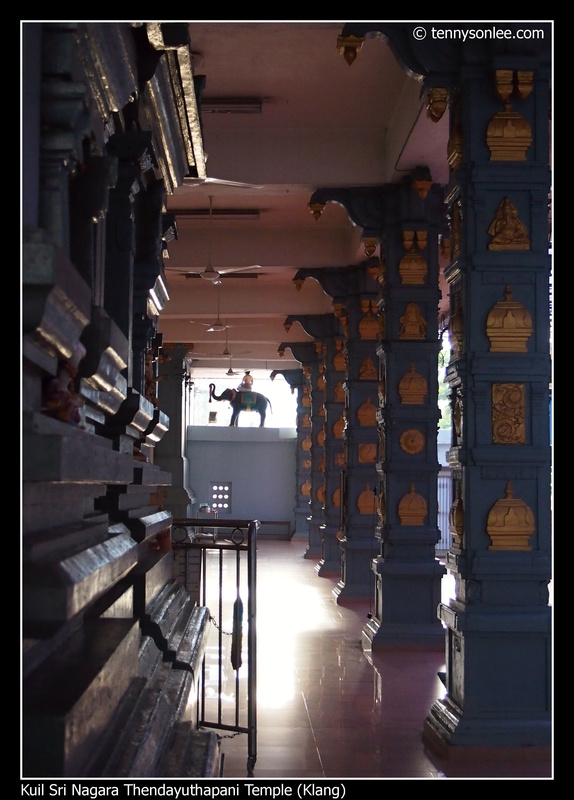 My first stop was the Sri Nagara Thendayuthapani temple. 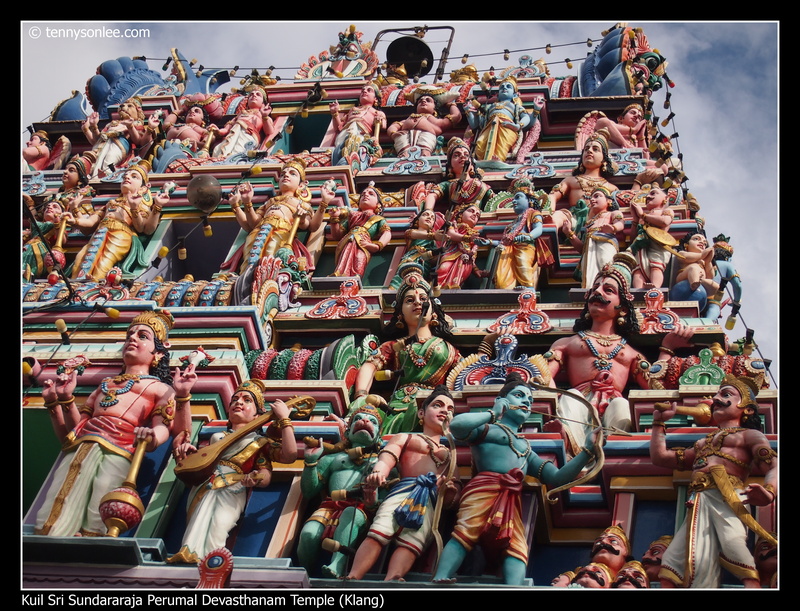 It is the oldest Hindu temple in Klang. 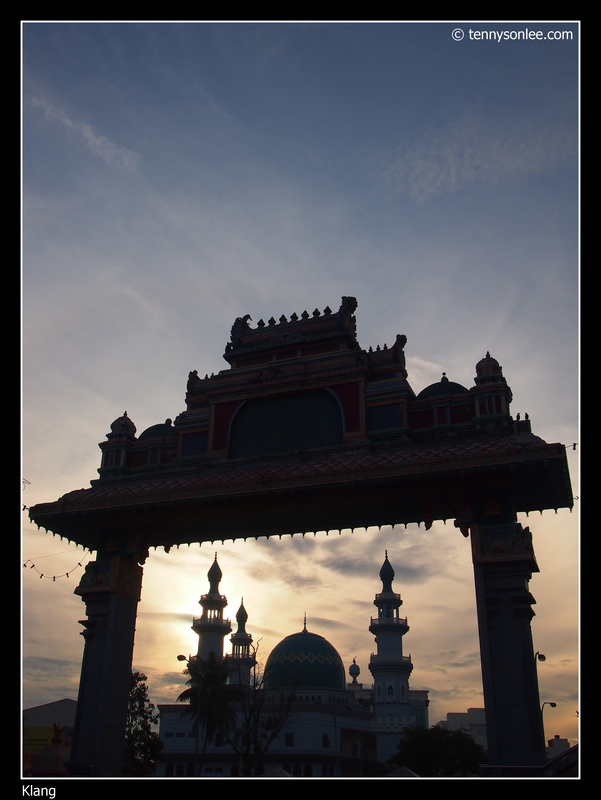 The image above was the Indian Muslim Mosque in the backdrop. The guardian at the temple was friendly and invited me to take pictures inside the temple. While waiting for the stores to open, I proceed to other heritage sites in Klang. 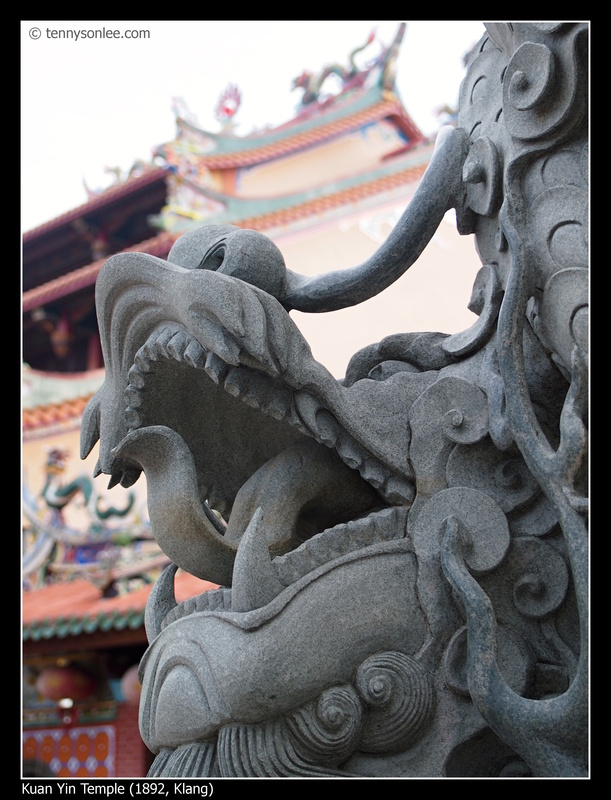 Second stop was Kuan Yin Temple. 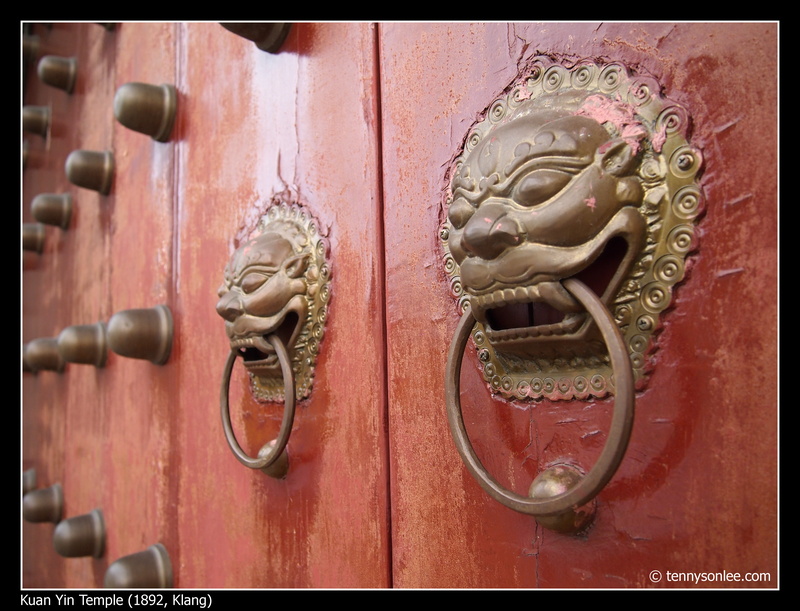 According to the Heritage Walk designed by Tourism Selangor, visitors can walk from Little India to Kuan Yin temple. Being Malaysian, I drove (what a shame) instead of walking. We are still early and I manage get the last parking space in front of the temple. The main gate was closed. It was hard to believe that this temple was almost being demolished to make way for construction few years ago. The background of the photo showed the condition of the old shot houses next to the temple. 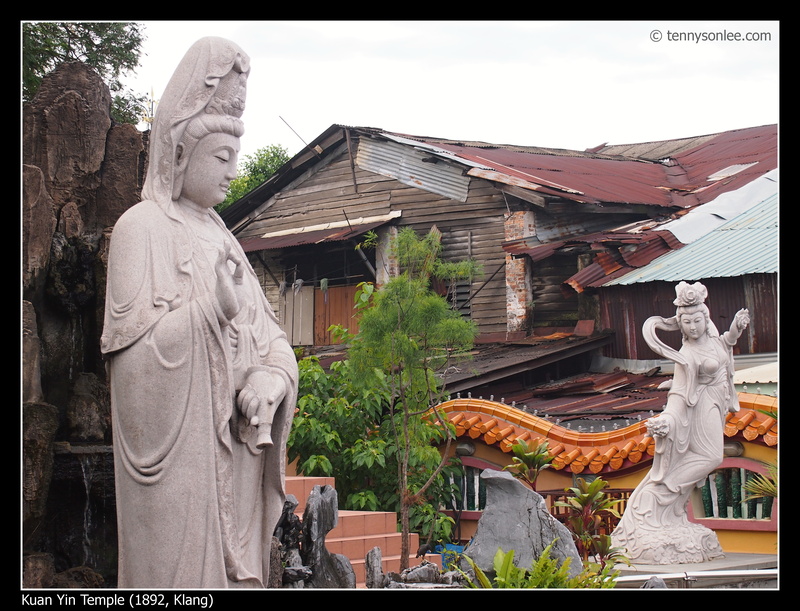 With some renovations, Kuan Yin temple became a popular temple for the local devotees and tourists. I hope with the support of heritage protection, this temple and many other worth preserving buildings can be conserved for future generations. Art and heritage are invaluable. 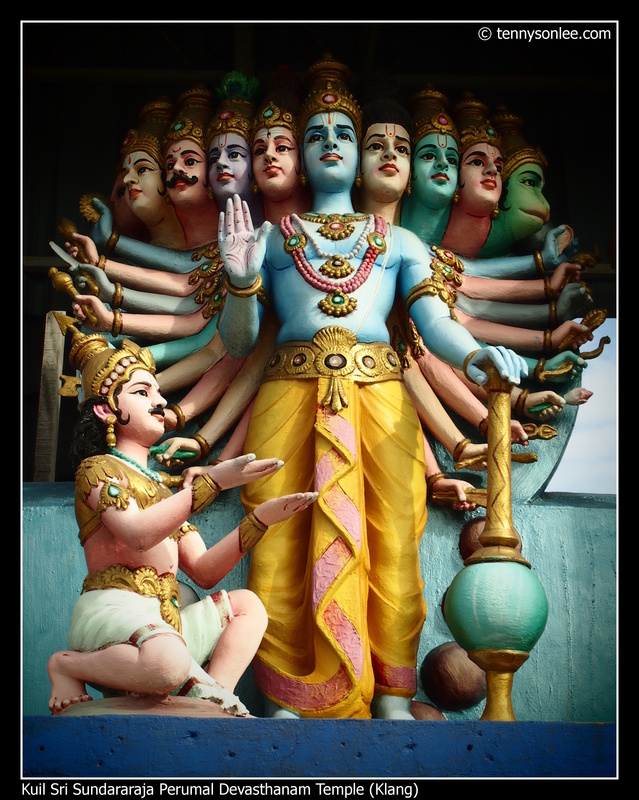 There is another famous temple nearby Kuan Yin Temple, Kuil Sri Sundararaja Perumal Devasthanam temple. 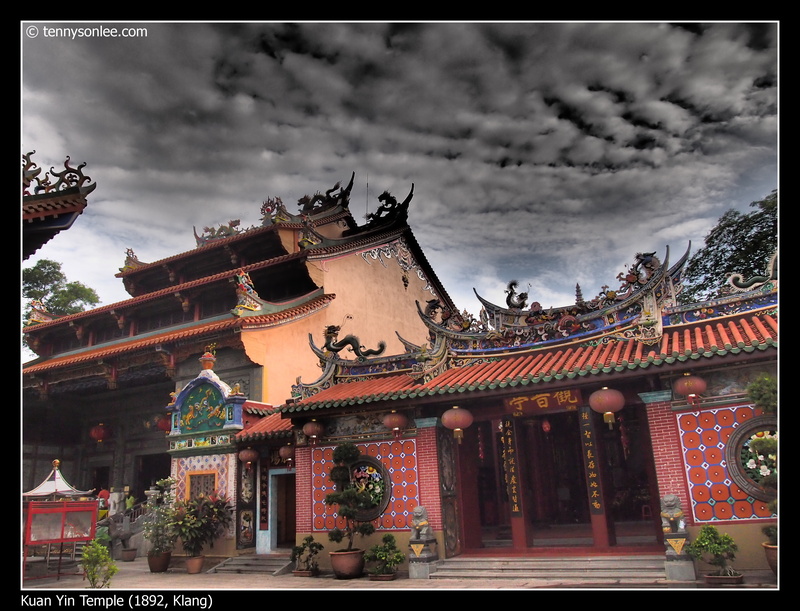 Ths is the largest Vaishnavite Hindu temple in Malaysia with more than 120 years history. This temple has more mystic sculptures than any other Hindu temple I have seen. Driving back to Little India, we passed by Church of Our Lady of Lourdes. I did not stop over because the roadside parking was filled with cars for Sunday service. 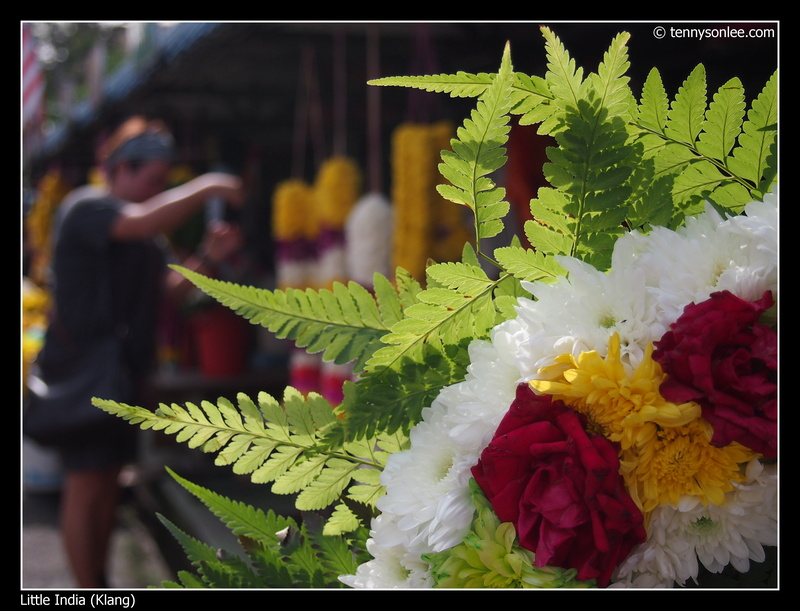 Today, Klang City Hall closed the traffic passing through Little India for the Deepavali merchants to set up stalls onto the street. There will be stage performance tonight. We did out standard photo-walkabouts and met a group of photographers carrying their big SLR and long lens. Christine and I were carrying smaller compact camera happily recording the activities and sights. 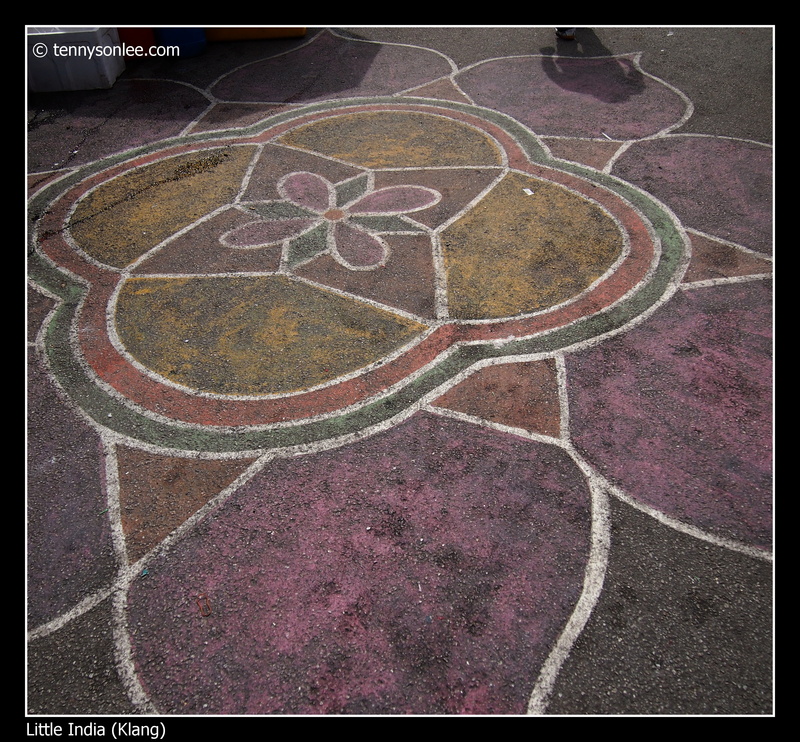 The Deepavali stalls covered most of the kolam patterns drawn on the street. I managed to find one and included the shadow of a pedestrian. Most of the festive goods and foods were the same as any other Diwali bazaar, with one exception. The fire crackers were sold openedly in the bazaar. 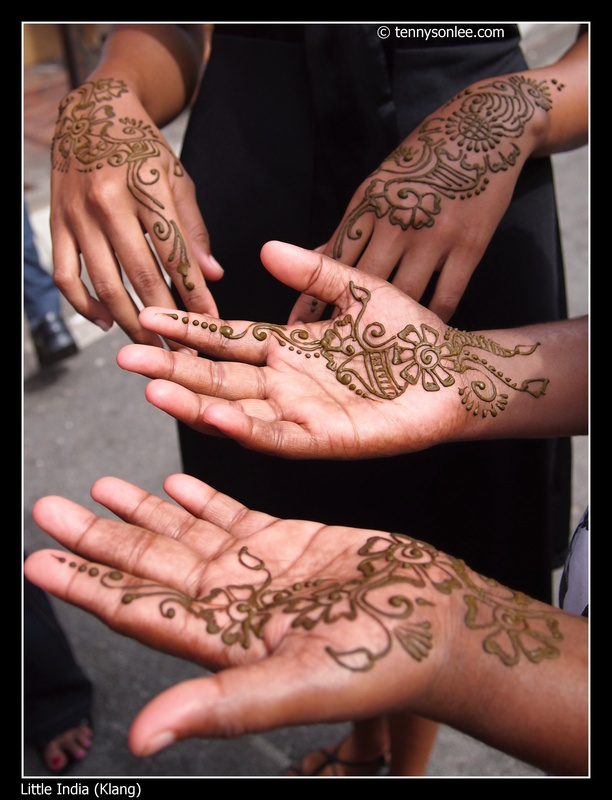 There were fewer Henna Hand Painting services as compared to the Deepavali Carnival at Brickfields. I loved the colors of the desserts but they were too sweet for me. I ended up having Bak Kut Teh at Seng Huat, yummy. 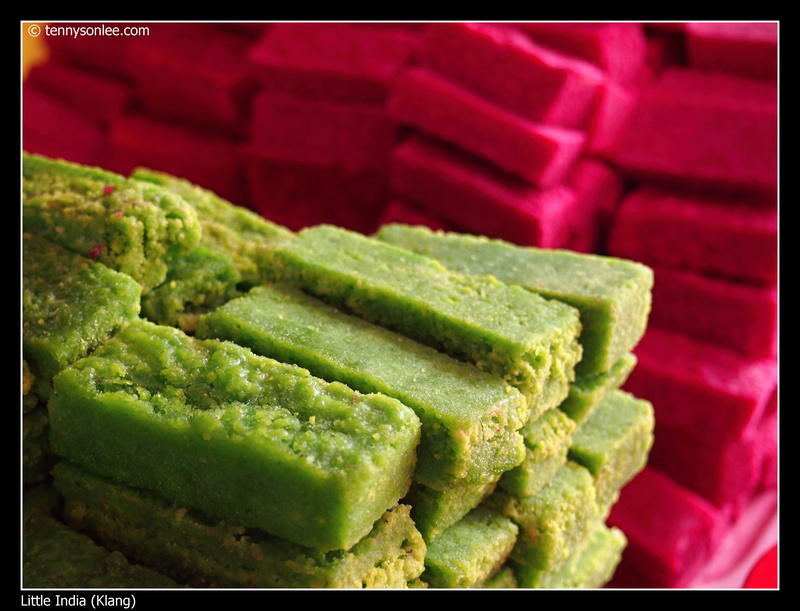 3 more days to the official Deepavali Holiday in Malaysia. May you have a great holiday (or working Wednesday). 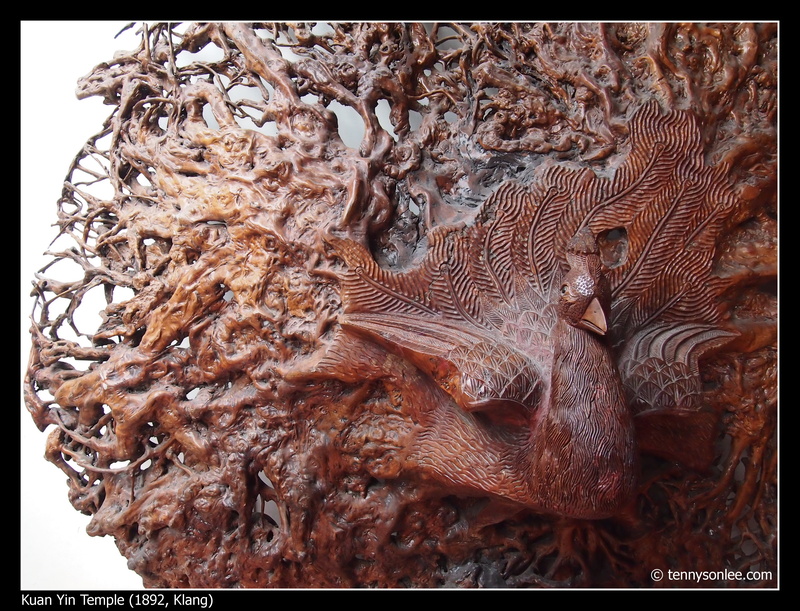 This entry was posted on October 23, 2011 by Tennyson. 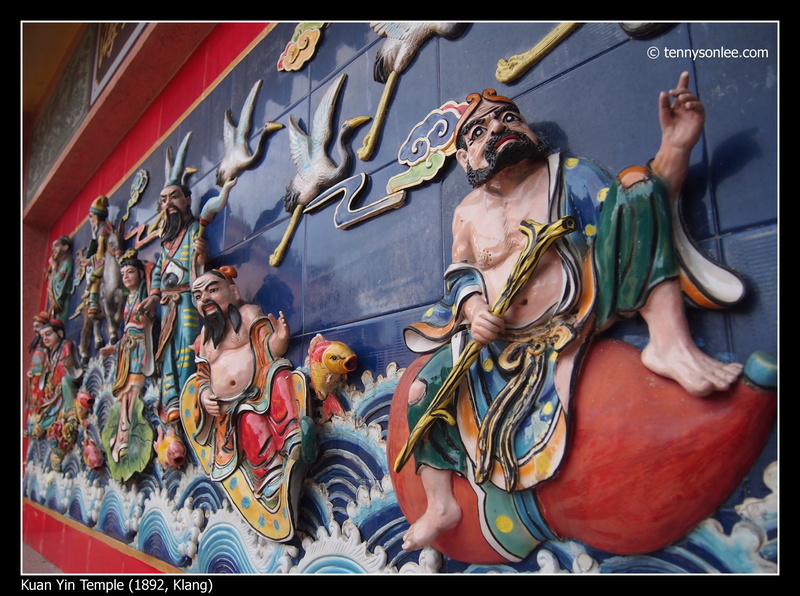 It was filed under Architecture, Festival, Malaysia, Places, Selangor .